This view looks to the east towards the backs of the buildings in Dean Bank Lane. Dean Bank Lane leads from Hamilton Place to Saxe Coburg Place in Stockbridge. 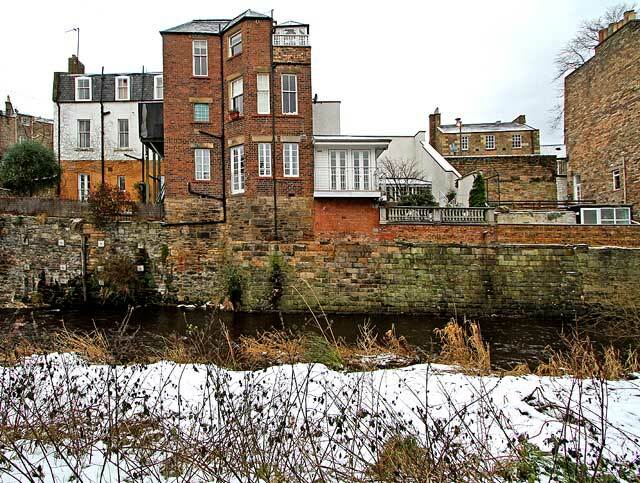 This section of the Water of Leith is between the bridge at Deanhaugh Street, in the centre of Stockbridge and the bridge about a quarter of a mile to the north at Glenogle Road.